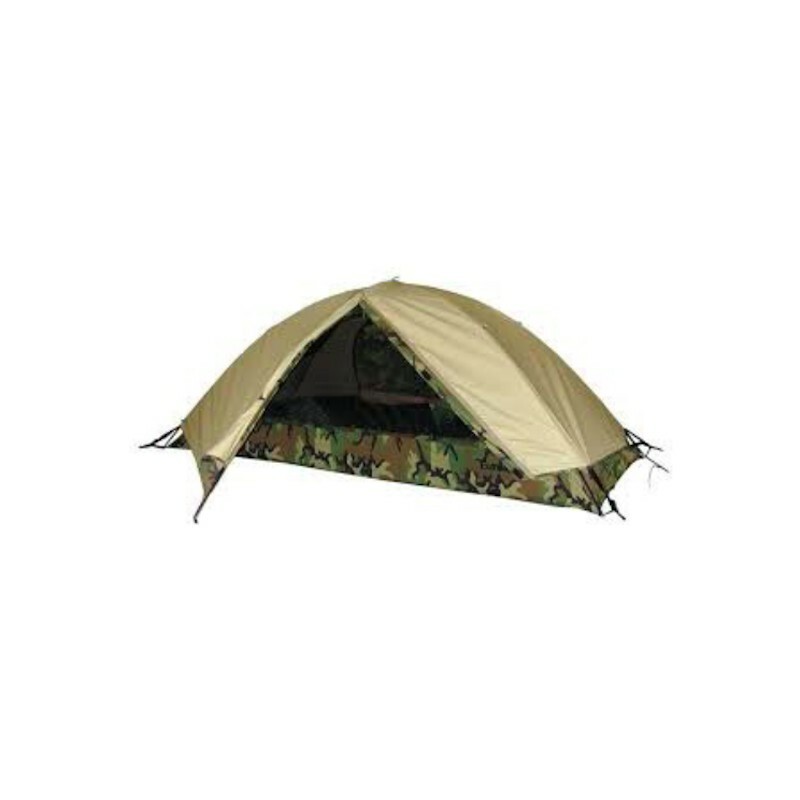 The Combat Tent - One Person incorporates all of the important features requested by personnel in the field — dry, tough and fast. The has a full coverage fly with blackout fabric, 2 vestibules for covered gear storage and 2 large, drop down doors with mesh windows. 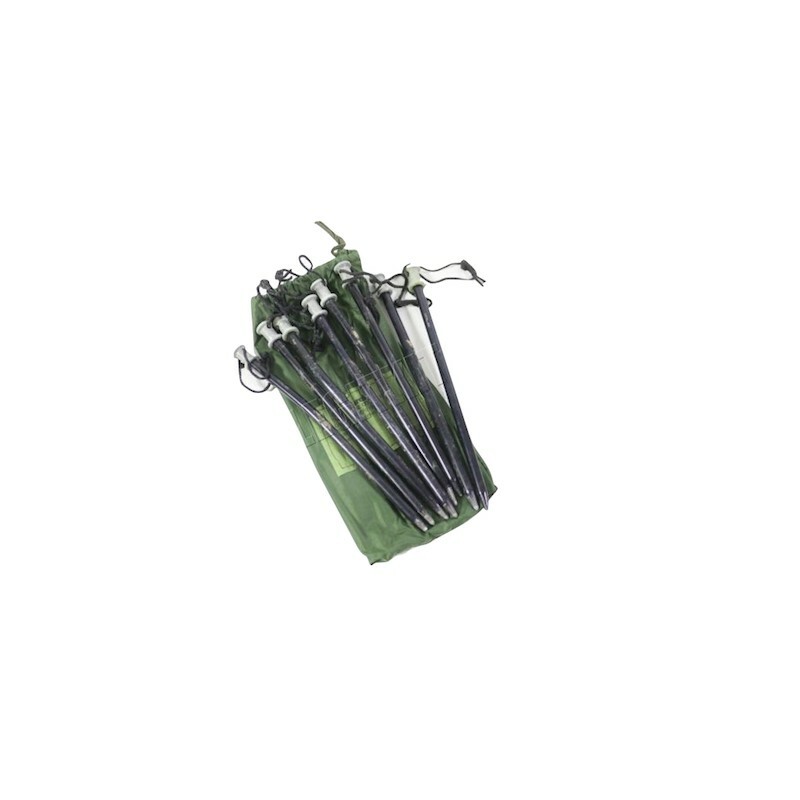 The entire upper body is constructed of breathable nylon for control of condensation. 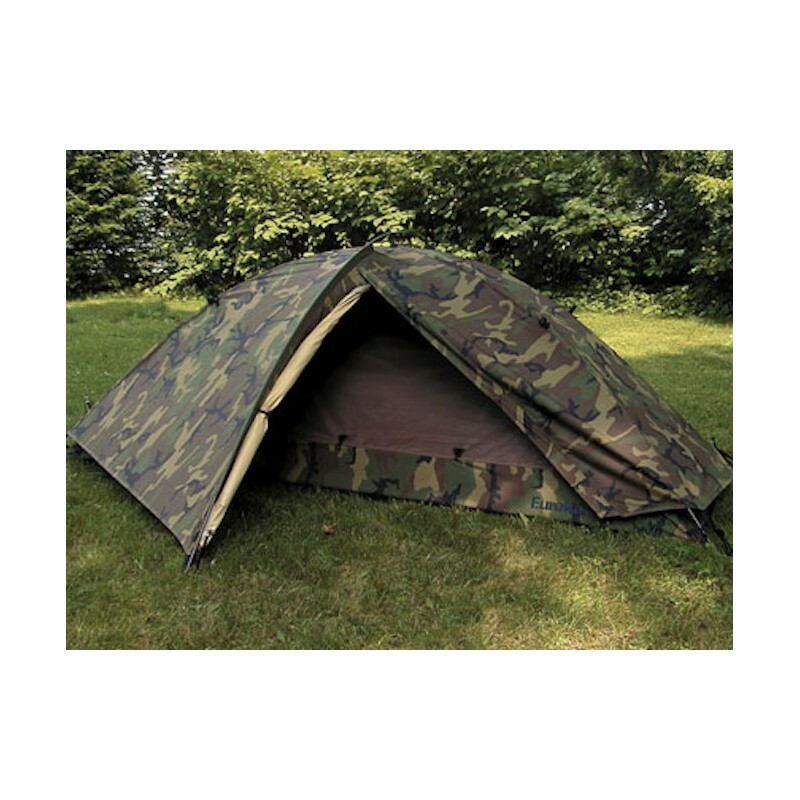 Each Combat Tent is designed using durable materials that meet or exceed government requirements and are warranted to stand up to repeated field use. Rugged in the field, proven on the front and made to meet the challenge . . . the Combat Tent! 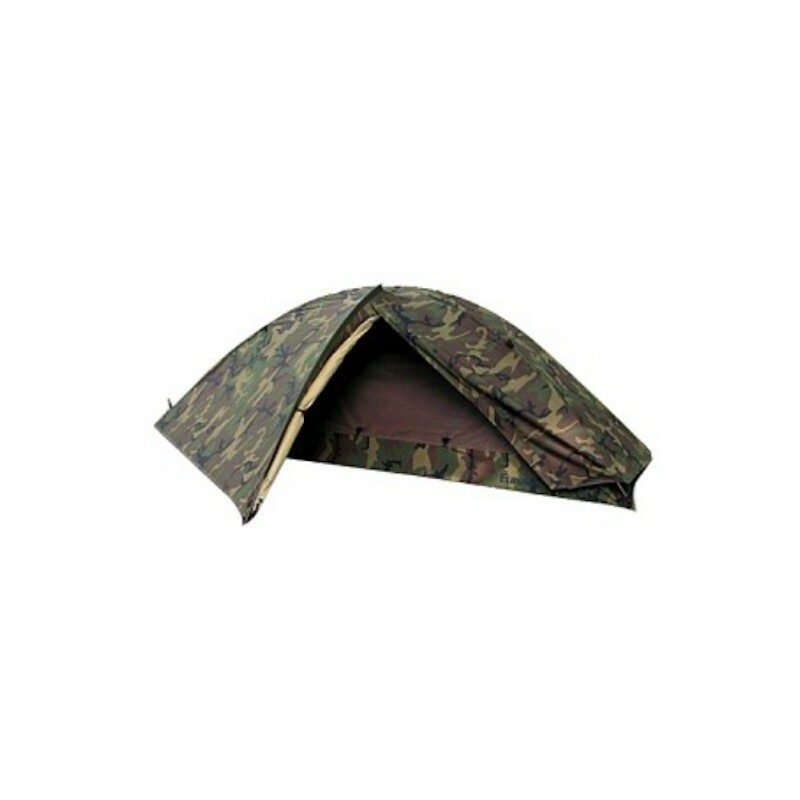 Tent body - Woodland Camo FR, 70D, 98P polyurethane coated Ripstop nylon with breathable upper body and bathtub floor.